Members of Redcoats and Revolutionaries will be outlining and showing off reproductions of 18th century camp craft and furnishings over time. If you are interested in ordering a reproduction of any of these items for yourself, please contact us and we'll help you find the right supplier. Reproduced from the Military Manual by Lewis Lochee (1778) 'An Essay of Castrementation' and from this research. 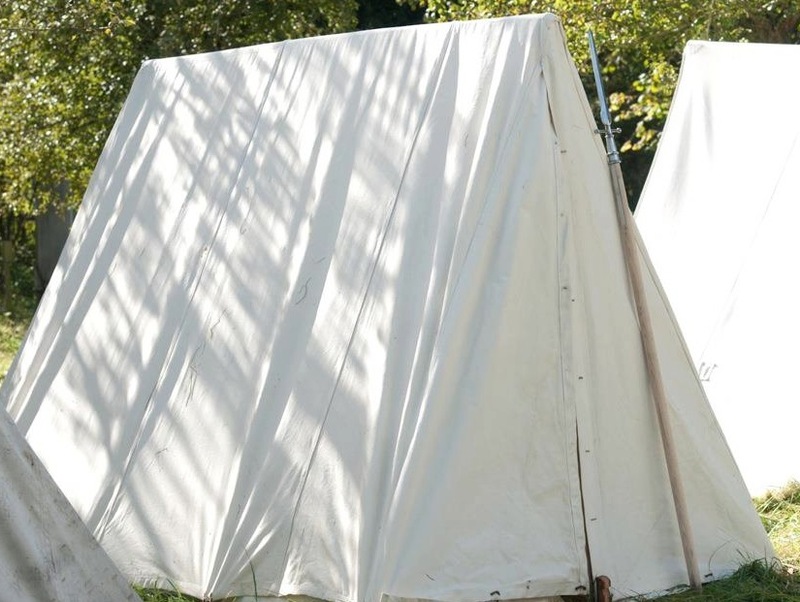 This is our first reproduction redcoat infantry tent. It is 6' wide, 6' tall and 8'6" long including an 18" bell. The poles are made from pine and hand-planed into the required 2" diametre. The ridge-pole is bowed to be thickier in the middle offering a surprisingly effective run-off for water. The round uprights hold the ridge-pole up with iron pins. Extra protection from splitting is added with an iron brace at the top of each upright pole. The pegs (or pins) are copied from extant examples and are made of pine. It is made from cotton canvas rather than hemp. Originally this tent would have accommodated a 'mess' of up to seven soldiers. The tent would be marked with the number of the regiment, the company and the mess- these markings will be added later. Incidently, the army issue blanket has almost the same dimensions as the tent, so we assume that the men of the mess would share and layer several underneath themselves for warmth. It wasn't uncommon for people of this time to do so at home or while stayng in an inn etc. Pitched view - put up in a hurry at night and in the rain - it still looks good! 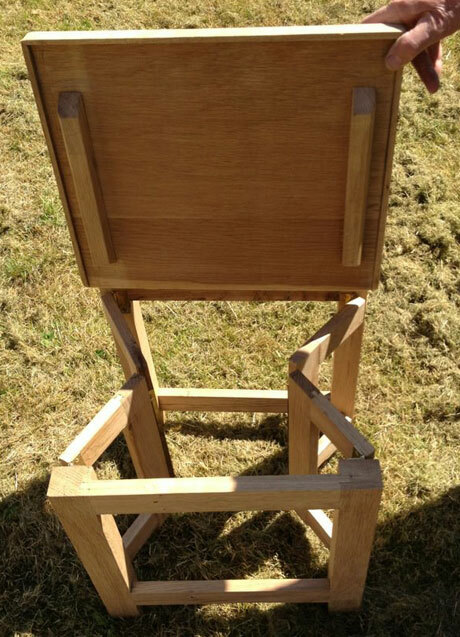 Reproduced from Brawer, Nicholas (2001) 'British Campaign Furniture: Elegance Under Canvas: 1740 - 1914' . 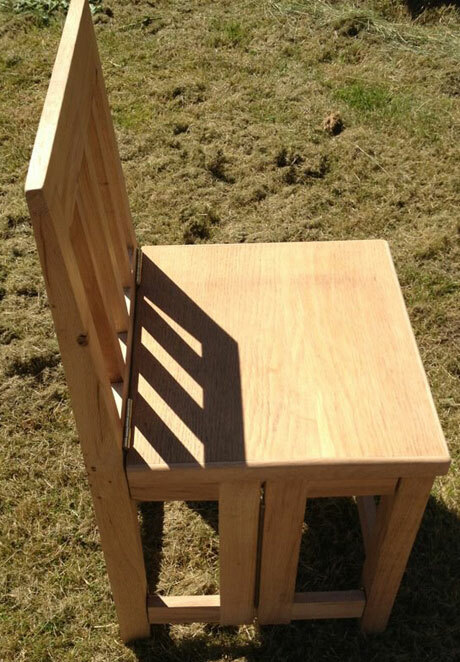 This collapsable chair is made of Solid Oak. There are 14 brass hinges. 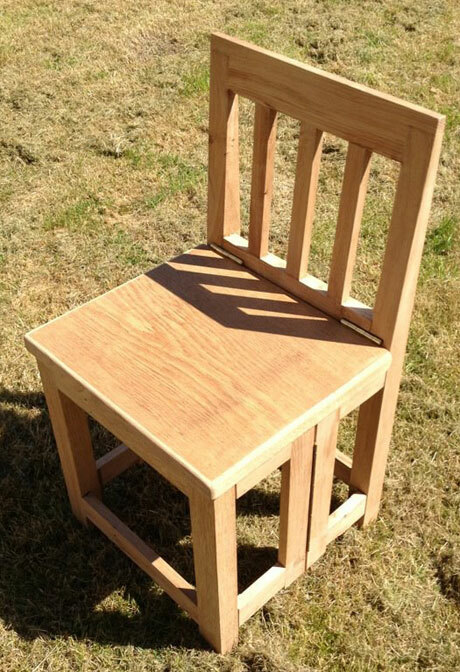 The legs fold inwards and the seat has a lid. 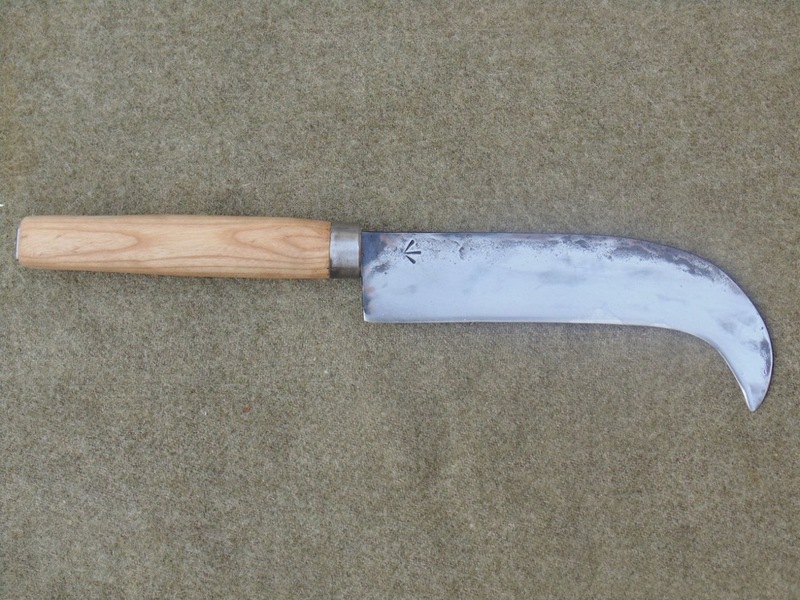 British Army-issue Bill Hook complete with broad arrow stamp. Based on a find from Fort Ticonderoga museum. Made by Jason Green.